Have you decided to go Paleo? Are you worried about your snack times? This is one of the most common worries for a lot of us have when we decide to follow a healthy lifestyle. processed and refined oils (including potato, vegetable, and corn chips). So, really, what is left? Most of us would think that fruits and vegetables would be the only options left, that turns some of us away from following the Paleo diet. Even though the above statement is actually true as the Paleo diet supports whole foods consumption, there are still options to treat yourself whenever you have a craving or need to eat something quick. Another thing to remember is that when you start filling your plate with primarily vegetables (half cooked and half raw) you would have fewer cravings left, as you will feel full longer due to the fiber component. Nevertheless, we also understand that going Paleo might be challenging, especially during the first few weeks. So, we found for you the best commercially made paleo snacks. We also would like you to acknowledge that these snacks should still be considered as a treat and should not be a part of your everyday meal. Why Do We Need Snacks? There are different reasons for our cravings. Some of our cravings are related to the average diet that we usually have. Did you know that the average Northern American diet consists of mostly carbohydrates (80-90%!). And carbohydrates are not bad, generally speaking, but some of our choices could hardly be named healthy. Another thing to consider is that the most foods, that we usually crave, consist of sugar (or high fructose corn syrup as the worst option) and fat (not a healthy one). This combination makes us crave for this type of food even more. The Paleo diet actually switches these macros towards a healthier combination of carbohydrates, fats, and proteins. It also teaches us to combine foods the way that our body can tolerate by eliminating the excess of carbohydrates (such as grains and sugar). Another reason we reach for the snacks is stress. We live in a fast-paced environment with a lot of stress-causing elements. For some of us, snacks are a type of stress-reliever that helps to get away from our problems. One of the solutions for this problem is to make sure to have at least 8 hours of sleep and know how to relax (for example, hot bath before going to sleep, aromatherapy, massage to name a few). Do you usually miss your breakfast or lunch? If our body does not get fuel on time it will let you know immediately. And most of us instead of grabbing a healthy meal would reach out for an unhealthy snack to satisfy the hunger. Make sure to always have fruits, vegetables, nuts or seeds available to you in case if you forgot to grab lunch with you. Paleo protein shake will be another healthy option as a quick and healthier solution. avoid processed and refined foods. So technically commercially-made food is a processed food and should not be consumed based on the Paleo diet principles. And really, if we refer to our ancestors, they did not even have food industry who would prepare food for them and nicely package it. However, we are far away from that times and we cannot avoid the food revolution happened back in the 20th century. A lot of us would turn towards the commercially made foods for convenience. Compared with the Paleolithic era our ancestors had fewer worries to deal with compared to our busy lives. And yet the food industry acknowledges that more and more people would like to follow the healthy lifestyle either due to the medical conditions or certain beliefs. Therefore, it offers plenty of Paleo-friendly food options for us to buy. 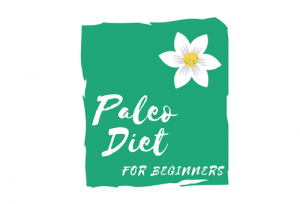 To buy or not buy commercially made Paleo-friendly foods (including snacks) would totally depend on your beliefs and how strict you would like to follow the Paleo diet. hidden ingredients – even though the food manufacturer is legally supposed to disclose all the ingredients, sometimes they do not bother doing that or hide certain ingredients under unpronounceable names, or hide them in the nutritional value of the product. So really there is no right or wrong choice when it comes to the commercially made Paleo snacks. I believe that once in a while this treat could be taken assuming that all the ingredients are at least 90% Paleo compliant. How To Determine Paleo-Compliant Snacks? It is not that hard to identify the Paleo-compliant snacks. Here are some tips to help you out with that task. That is an easy one. A lot of manufactures would place “Paleo” or “Ancestor” or “Primal” on the package to sell you this product. Some other variations are: “grain-free”, “Gluten-Free” etc. The black “P” in a black circle will assure you that this product is Paleo compliant. Every product will have it. Even though the package might say “Paleo” it does not necessarily mean that it is Paleo-compliant. Always look through the ingredient list to see if all the ingredients included in the packaged Paleo snack are compliant with the Paleo diet principles. Even though the food manufacturer is legally supposed to disclose all the ingredients, it does not necessarily mean that they will follow that requirement. Another common way to hide the certain ingredients is to label them under names that a buyer would not even understand. The rule of thumb is that if you do not know the ingredient, do not buy it. It is also very common for some food makers to hide certain ingredients in the nutritional value. For example, sugar might not be listed as an ingredient but will be actually disclosed in the nutritional value below the carbohydrates. Juices would be one of the visual examples of this tricky labeling. Where To Buy Paleo-Compliant Snacks? T he Paleo diet is getting more and more popular. And food producers usually follow the trend and offer a variety of Paleo-friendly options. Most of the superstores nowadays have ‘Organic’ or ‘Healthy’ or ‘Green’ sections where you would be able to buy most of the Paleo-compliant foods, including snacks. Some grocery stores offer Paleo-friendly alternatives together with the other foods in the same category. For example, in one of the local stores, I found almond and coconut flour in the section where other flours were located. It definitely will take time and practice to locate Paleo-friendly alternatives in the store. A lot of cities have local health stores where you could find a variety of Paleo-friendly snacks. However, sometimes the prices in these stores are higher compared with superstores or even online. And, of course, you could buy paleo-compliant foods online. Amazon.com or EBay.com would be one of the best sources of the Paleo-compliant snacks. Here we picked for you 10 best commercially made Paleo snacks that would keep you accountable during the days when you crave certain foods. A lot of us got used to having cereals or granola in the mornings. However, a lot of the traditional versions include grains that are not allowed on the Paleo diet. We were in love with this granola for a couple of reasons. First of all, they are 100% Paleo diet compliant. Another great thing about this granola is that it is sweetened with the maple syrup which makes it a healthier option to the traditional granola which is usually sweetened with sugar. Add almond milk or coconut milk and you will get a nutritious breakfast. Or make dates paste and mix granola in to get a granola bar. Did you know that most of the beef jerky treats have sugar or high fructose corn syrup added? It does not sound like a healthy choice. However, there are plenty of Paleo compliant options available on the market. These sausages are made in beef collagen casings. Amazing snack alternative to pack for yourself or kids. A great protein snack option that is not only Paleo compliant but also AIP compliant. These Paleo balls are a great alternative to traditional protein snack bars and yet are much healthier. This is another great meat snack option. It is one of a few snacks that is actually Paleo certified and will be compliant with the AIP certificate as well. The product contains minimum ingredients but is extremely delicious. You would be surprised to know that the meat is not dry but nice and tender. It is definitely a great and healthy snack option. It is definitely a great snack and sweet treat option. We love these bars not only because of the taste but also because it has only 2-3 ingredients. However, be cautious when buying as some flavors contain peanuts that are not allowed on the Paleo diet. Another great thing about these bars is that they are widely available in most of the grocery store. If you crave for some potato chips, this will be a great Paleo-compliant alternative for you. Note to mention that this is a Paleo certified snack. The company offers chips made of Cassava or Plantain. Even though they would not taste 100% as our favorite potato chips, but the taste would be the closest. It is a great healthy substitute for the potato chips that will satisfy your crunchy and salty cravings. These bars are similar to Larabars mentioned earlier but offer interesting taste mixes that, I bet, you will be in love with. Another great thing about these bars is that they are also Paleo certified. However, they also offer peanut butter options that should not be considered Paleo. The ingredient list is very simple. What we particularly like about these energy bars is that almost all of their flavors have superfoods incorporated in there. For example, in the Hazelnut Coffee Maca ingredients, such as Chia seeds and Maca root, are incorporated that makes these bars super nutritious and healthy. It is definitely one of our favorite snacks. Truth bar is a great healthy snack bar, however, it cannot be considered as 100% Paleo diet compliant. But still could be a great alternative to traditional chocolate candies. This snack contains 5 grams of sugar which we believe is a part of tapioca syrup used in this bar. It also contains Erythritol that is considered as a non-Paleo ingredient by most of the Paleo diet authorities. Therefore, if you are following the strict Paleo diet, these bars will not suit you. If you would like to treat yourself once a week, these bars would definitely be a great option. These bars taste amazing, especially if you love coconut. These bars do not only taste amazing but they also add more fiber, Omega-3, prebiotic and probiotic to your diet. If you have ‘sweet tooth’ cravings, these bites are just for you. These bites are sweetened with the Coconut Nectar that is a Paleo-compliant ingredient. However, being a natural sweetener should still be consumed in moderate amounts. This treat is great as a treat once in a while. Another fantastic energy snack bar. These bars not only taste amazing but also packed with superfoods and offers an amazing nutritional value. This is definitely one impressive ingredient list. From the Paleo diet perspective, it does have sunflower oil in some dried fruits ingredients, but the amount of them would be minimum. So we do not see a problem of having this treat once in a while considering all these nutritional benefits it can offer. Food Products Reviews, Product Reviews best paleo snacks, cassava chips, paleo beef sausage, paleo chips, paleo energy bars, paleo protein bars, paleo snacks. permalink. I am happy that this post made you feel hungry in a way 🙂 that means that is time to get something to eat before your blood sugar drops. Which paleo snack do you think will suit the best for you? This is such a great post. I didn’t know paleo snacks were so vast since I focus on a Mediterranean diet. I think Artisan Tropic Strips would be fit for my health and I know I can get it from your site here. Many people will benefit from this post because it is so informative and helpful since you know what you are talking about. Mediterranean diet is definitely a healthy diet that can offer a lot of health benefits. I have a post that compares the Mediterranean and the Paleo diet over here. The paleo diet evolved a lot when it comes to commercially packaged foods. Even though all foods that came through factory are not considered Paleo from its main principles perspective, it is good to have some healthy options because of its convenience. I am glad that you found a great fit that will suit your current diet needs. Let us know how you liked this treat. These Paleo snacks do look and sound like they will be tasty. I do sometimes think about trying something like this because of the health benefits associated with it. I think now after reading your post on it then I will dig a little deeper into it. Like I said. 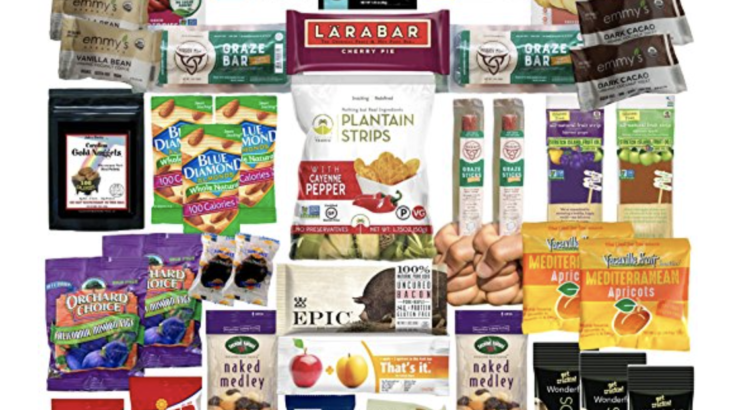 I do like the look of most of the snacks you listed, but I think I would like to try and make some Paleo snacks myself as it would save me money. I would still buy some of the snacks occasionally though as I’m very interested to taste some. We are regularly updating our recipe section where you could find some snack ideas that you could make yourself. And I totally agree that some of these snacks have an expensive price tag. However, some of them, like Larabars, for example, are more affordable and could be found in a regular store.